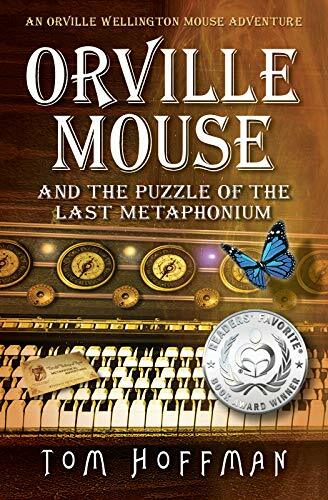 Winner of 2018 Readers' Favorite International Book Awards Silver Medal in Young Adult Epic Fantasy When Orville Mouse wakes up from a terrifying nightmare to find a mysterious red book in his bed, he and his best friend Sophia set out to decipher the cryptic manuscript, convinced the book is connected to the disappearance of Orville's neighbor, Aislin Mouse. Their quest takes them to the lost city of Cathne where an astonishing turn of events catapults the adventurers into a desperate interdimensional race to save Aislin. Accompanied by their old friend Proto the Rabbiton, Orville and Sophia enter the bewildering and terrifying world of Elysian in search of Aislin Mouse. With help from a beautiful ghost mouse, Orville's cantankerous neighbor Ebenezer, Puella the Wise One, crusty old Captain Tobias, an austere monk named Brother Solus, dreamy Madam Beasley, and Charon the Ferrymouse, the stalwart adventurers must uncover the secret of the last Metaphonium and confront the horrific burning charcoal stick creature known only as the Shadow King.